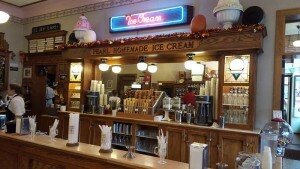 One step into this old-fashioned soda fountain and ice cream parlor, and you’re whisked back to an earlier, sweeter era. Everything from home-mixed ice cream in waffle cones made right in the store to scratch-made flavored soads and rich, tasty malts from the old-school Hamilton Beach mixer and the metal cup delights the senses. 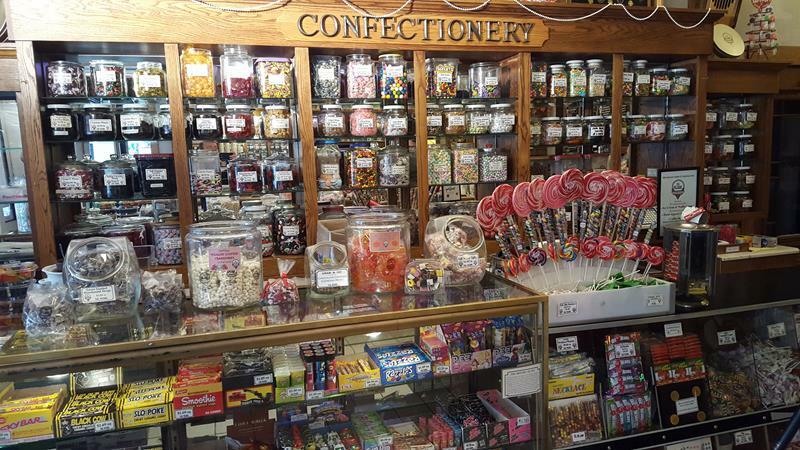 A wall of candies, chocolates, nuts, and other treats make this one of the more complete confectioneries you’ll find anywhere – it could be the 1930s in here! The Pearl is located right on (surprise!) Pearl Street in downtown La Crosse, right near the La Crosse Center. U.S. 53 begins just to the east; U.S 14/61 and Highways 16 and 33 are just a few blocks to the south; and Highway 35 is about a mile to the east. 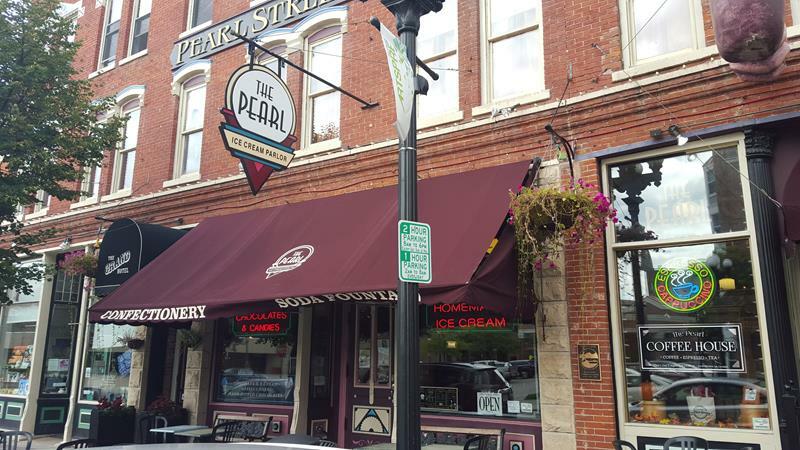 Basically, if you heard towards downtown La Crosse where all the bars, restaurants, shops, and nightlife are, you’re practically within eyeshot of The Pearl. 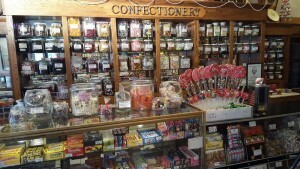 It’s definitely a great, sweet stop. 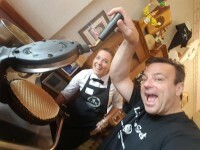 Want a fresh waffle cone? They don’t get any fresher than this! 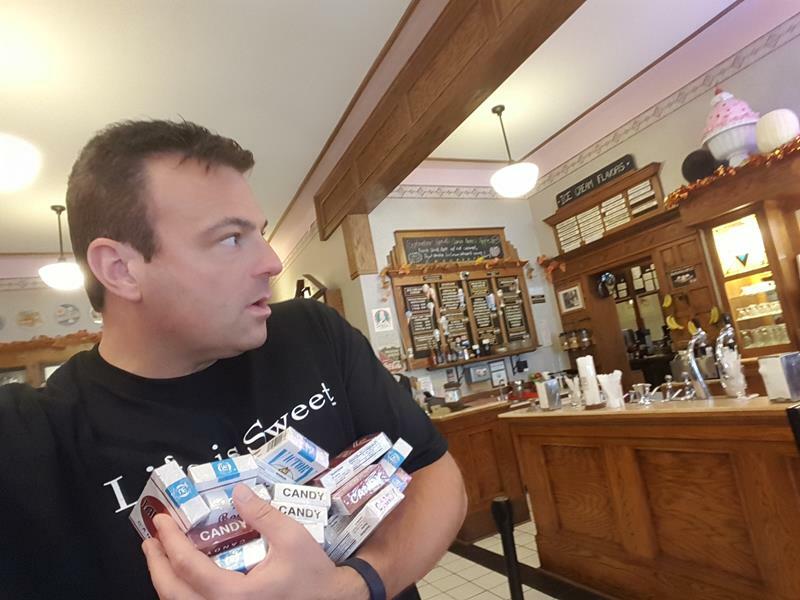 I stocked up on candy cigs; you don’t find them around very often. Don’t worry, I paid for them.